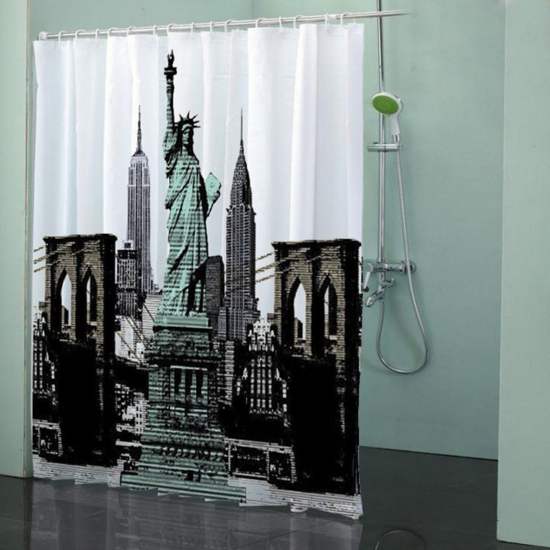 Statue of Liberty Shower Curtain Only $42.60! Ships FREE!! You are here: Home / Great Deals / Statue of Liberty Shower Curtain Only $42.60! Ships FREE!! Bring this great symbol of liberty into your home! Order the Statue of Liberty Shower Curtain for Only $42.60! Ships :fr! !